When the Duchess of Cambridge first wore these earrings, they were bespoke by Kiki McDonough. After Kate wore them, KIKI added them to the 'Lola' collection. 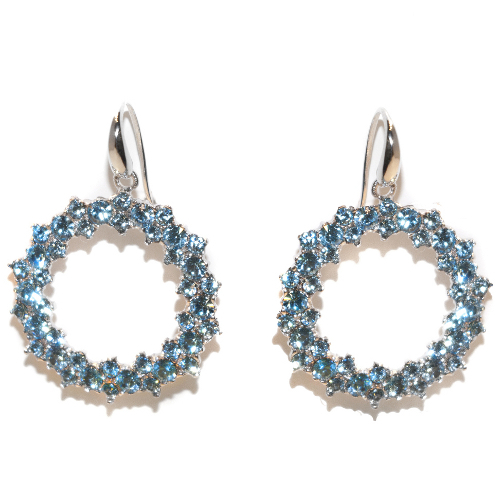 The earrings feature blue topaz hoops with small diamonds set on 18-caret white gold. 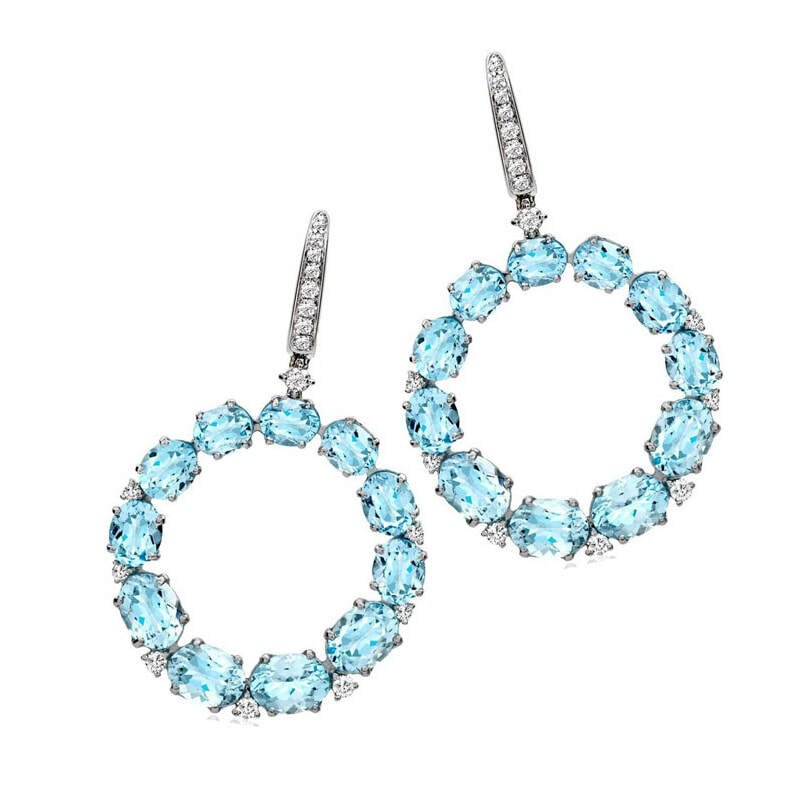 STYLE FILE: KIKI Lola Blue Topaz Hoop Earrings as seen on Kate Middleton, The Duchess of Cambridge.